Dr. D.W.S. Sheldon, Repton School, Derbyshire, from whom acquired by the previous owner, in 1970. The Earldom and Viscounty of Craven expired on the death without issue of the 1st Earl, but the Barony of Craven, of Hamsted Marshall, devolved to his cousin, Thomas Craven (1611 – 1682). W. Craven, “Catalogue of the Pictures at Combe Abbey Warwickshire”, privately published 1866, p.19, no. 307. 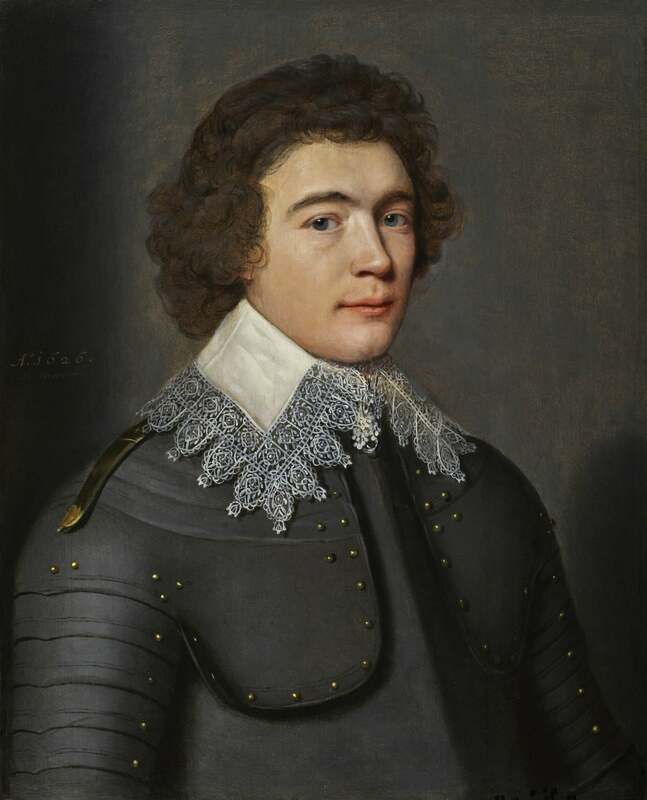 This gentle and sensitive portrait of the young Frédéric Maurice de La Tour d’Auvergne, duc de Bouillon, prince of Sedan, (later Governor of Maastricht and the United Provinces), was painted in 1626, arguably when Mierevelt was at the apogee of his artistic powers as official court portraitist in the Stadtholder court of Prince Maurice of Orange-Nassau, in The Hague. Frédéric Maurice himself was the nephew of Prince Maurice, and had received his military training in Holland, under his uncle’s guidance. The provenance for this portrait takes us back to the illustrious collection of the Earls of Craven, which owes its reputation in great part to the gallery of portraits that once belonged to Elizabeth of Bohemia, the ‘Winter Queen’, sister of Charles I of England. Elizabeth and her husband, Frederick V of Bohemia, had found refuge at the Prince of Orange’s court at The Hague in 1621, where Elizabeth went on to spend forty years in exile. There, she patronised the principal court painters, Mierevelt being a favourite, along with Honthorst, and assembled a remarkable gallery of portraits of her family and friends, particularly of the many Protestant rulers and commanders who championed her cause, presumably including our sitter. After her death in 1662, most of Elizabeth’s paintings passed to her lover, William, 1st Baron and Earl of Craven, either directly or by eventual bequest from her son, Prince Rupert. We can therefore assume that the present portrait of the young Protestant duc de Bouillon hails from the Winter Queen’s collection, and was painted the year that she gave birth to her third daughter, and ninth child, Henriette Marie, Princess Palatine. Frédéric Maurice de La Tour d’Auvergne was born in the Ardennes, the son of Henri de La Tour d’Auvergne (1555 – 1623), prince of Sedan, marshal of France, and member of the powerful Hugenot House of La Tour d’Auvergne, and his wife Elisabeth of Orange-Nassau (1577 – 1642), (the daughter of Prince William of Orange and his third spouse, Charlotte of Bourbon). Raised as a Protestant under the close watch of his uncles, Maurice of Nassau-Orange and Frederick Henry, Prince of Orange, he became a general in the French royal army. On the death of his father in 1623, Frédéric Maurice became duc de Bouillon and prince of Sedan, with his mother initially acting as Regent. Arguably, he inherited from his father a Protestant principality already beleaguered by hostility from his Catholic French neighbours. Our portrait was painted only three years later, in 1626. Not long after, he led the defeat of the Spanish forces at the siege of Bois-le-Duc in 1629, and was made Governor of Maastricht and the United Provinces in 1632. In 1634 Frédéric Maurice married Countess Eleonora van Berg's-Heerenberg, under whose influence he converted to Catholicism. This was perhaps also an attempt to neutralize French Catholic antagonism to his Principality. A year later he came into the service of King Louis XIII of France as maréchal de camp, but it was a short-lived honeymoon. In 1637 he was deprived of his offices in the United Provinces after engaging in negotiations with their arch-enemy, Spain. With the support of Spanish troops he and his relation, Louis Bourbon, comte de Soissons, defeated the French royal troops sent after them at the Battle of La Marfée, outside of Sedan, in 1641. Nonetheless, it was not long before he submitted to the will of Louis XIII and Cardinal Richelieu, which brought with it a promotion to the rank of lieutenant general in command of the French army of Italy, in 1642. Clearly an unsuccessful attempt to regain control through false allegiance, in an impressive volte-face that same year he again conspired against Richelieu and was arrested in Casale in Italy. He was only released when his wife threatened to open Sedan to the Spaniards, and he was forced to promise to cede the strategic border principalities of Sedan and Raucourt to France. It was the sad, but perhaps inevitable demise of his historically weak principality. In 1650 Frédéric Maurice joined the Fronde, (a series of civil wars in France between 1648 – 1653, occurring in the midst of the Franco-Spanish war, and a time when the government pushed back and questioned the constitutionality of the King’s actions, and sought to check his powers). However, it was not long before the promise of high office and compensations for the cession of Sedan and Raucourt, exchanged in 1651 for the duchies of Albret and Chateau-Thierry, the counties of Auvergne and Evereux and several other lands, convinced him to cede action. Whether an opportunist, or simply a pragmatist, undoubtedly Frédéric-Maurice ultimately sought stability. He died not long after at Pontoise, near Paris, in 1652, and was buried in Evreux.